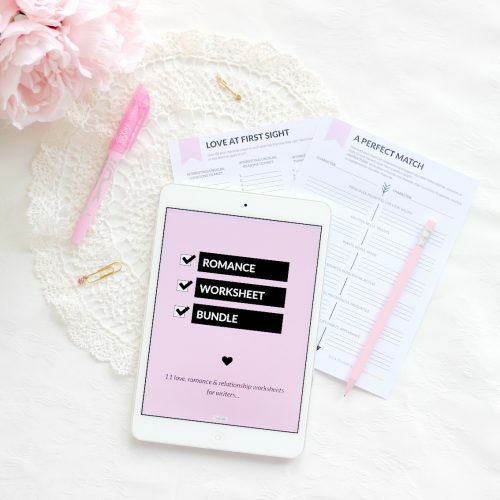 The Romance Worksheet Bundle is a collection of 11 worksheets designed to help you brainstorm and develop beautiful love stories. The Language of Love – how do your characters’ love languages affect their relationships? Love at First Sight – what’s the story of your characters’ first meeting? Getting Closer – how do your characters get closer and closer to each other? The End of the Affair – how do past relationships affect your characters’ behaviour? A Perfect Match – what makes your characters perfect for each other? Obstacles to Love – what are the obstacles to your characters being together, and how do they overcome them? Wants, Needs & Goals – what do your characters want, and how do they help each other attain their wants, needs and goals? Sacrificed for Love – what do your characters need to sacrifice for love? Friend to Lover – how do your characters escape the friend zone? Enemy to Lover – how do your characters turn dislike into love? A Culture of Love – how does their culture or family affect your characters’ relationships? 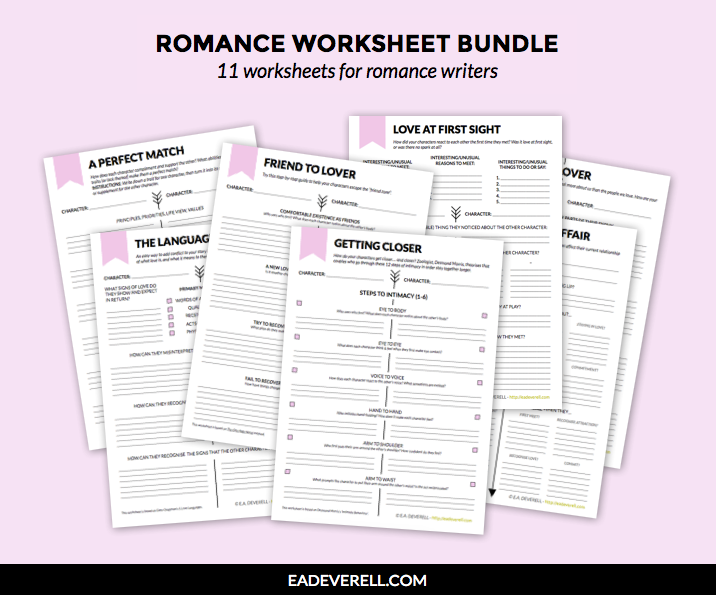 Although the worksheets are aimed at romance writers, they can also be used by memoirists, and writers of all genres looking to develop romance subplots or relationships between characters who are friends or family. This digital download includes 1 PDF file (28 pages) which you can view using any PDF-reading software, your browser, or your mobile device. The worksheets are sized for A4, but you can also resize them to print on US Letter. Please note: this collection of worksheets is available for FREE to Lady Writers League members. If you’re a member, please find this download in the Library.